Luxury Homes/Villas with Private Swimming Pool in Delhi NCR for Sale. Thank you for registering with us at Navin Minar, Delhi. Our support team will Get back to you shortly. One of the tallest buildings in Delhi*, where every 4 & 5 BHK apartment comes with its private swimming pool. The first 5 star hotel residences* in Delhi with all services like Housekeeping, Laundry, Concierge, Valet, Room Service, Spa Management etc. Most of the apartments overlook views of Rashtrapati Bhawan, ITC, Taj, Delhi Ridge, Connaught Place. First mix use development in Delhi with Movies, Shopping Mall, Food Courts, Showrooms, Luxury Residences in same complex. First residences in India with 13 feet floor to floor height, making them bungalows in the sky. Highest Helipad Restaurant* in India with World's highest Glass Bottom Pool. 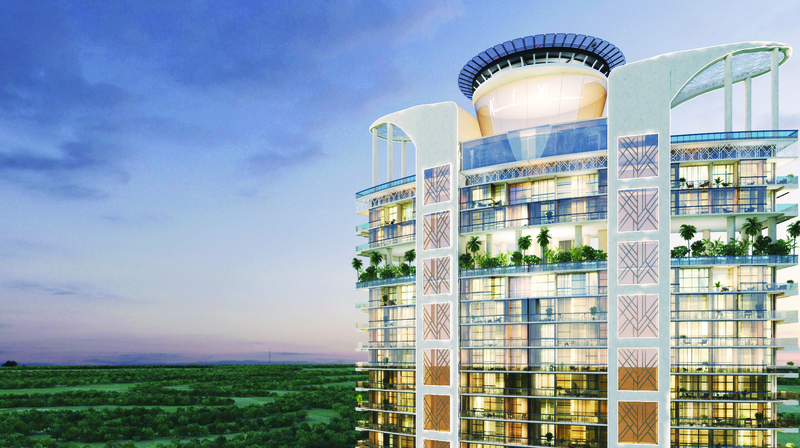 A lucky few will be able to call these Super Luxury Hotel Residences in New Delhi, their home. Your own property designed and built to the standard of one of the best 5 star hotel chains. These luxury residences would include legendary 5 star hotel services and amenities where your daily life is at par with resort/hotel style living. To register, please provide us with the following details. Our representative will get back to you shortly. “Disclaimer: Project under PPP scheme with DDA and the same is registered with Real Estate Regulatory of NCT of Delhi vide registration no.DLRERA2018P0005 dated 06.03.2018. Approvals can be checked at the Company's or RERA’s website or at our office. The images shown here are pictorial conceptualization. It is an attempt to replicate the project, however, the actual may differ. Apartments will be provided in unfinished condition and with basic specifications only. Interiors/home furnishings, furniture and gadgets are not part of our offerings. The information and contents provided herein are subject to change within the provisions of Act and norms. The Project is financed by L & T Infrastructure Finance Company Limited. The company is retaining right to additional FAR under TOD, TDR, GRIHA etc. subject to the prevailing government norms. Please carefully read and peruse all terms and conditions, specifications and payment plans in the Application Form as well as locations, sanctions, permissions and clearances before tendering your booking. 'Project' is being developed by Raheja Developers Ltd. Leela has no responsibility regarding construction and development of the project. Leela shall be providing operation & maintenance services in terms of the agreement after development of project. Facilities and amenities will be made functional only upon achieving of 50% occupancy in the project.” **Conditions Apply, please refer maintenance agreement.